Former Israeli consul in Egypt believes Morsi will have to deal with Egypt’s internal problems before he re-examines the peace treaty. Former Israeli consul in Egypt Meir Mishan said on Monday that he believes Egypt’s president elect Mohammed Morsi will have to deal with Egypt’s internal problems – namely food, education and employment – before he will be able to re-examine the peace treaty with Israel. As for Morsi’s attitude toward Israel, Mishan said he is convinced that Israeli leaders are exploring his intentions to re-examine the peace agreement and have come up with ways of dealing with it. Regarding his intent to strengthen relations with Iran, Mishan said he believes such a connection will not flourish, since Morsi will be busy dealing with his country's internal problems and, other than statements of support of Iran in the media, there will be no significance to these relations. On Monday, the Iranian Fars news agency published an interview with Morsi in which he pledged to strengthen ties with the Islamic Republic to create a “balance” in the Middle East. The Egyptian presidency later denied that Morsi gave such an interview. 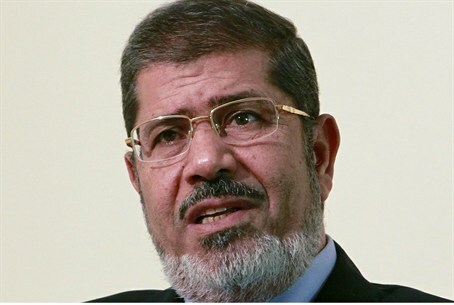 Mishan told Arutz Sheva that he believes the Egyptian government will be double-headed, as the country’s Supreme Military Council has already changed the constitution and curtailed the president’s powers, giving it the ability to make decisions on security related measures. He said he recommends that Israel monitor the situation in Egypt but not take steps that may be viewed by the other side as an escalation.